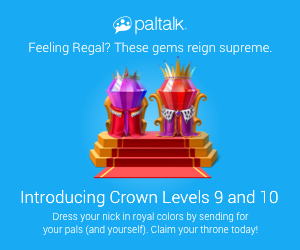 We are pleased to announce the release of our two latest crown levels, 9 and 10! Earn credits, send gifts, and rack up points to claim your throne today! You'll look great in royal colors. Learn more about how to earn Crown Points here.